Address: Ansa Kuala Lumpur, Jalan Bukit Bintang, Kuala Lumpur, Malaysia. It is my second visit to this cafe and restaurant which is located at the Bukit Bintang, Kuala Lumpur, Malaysia. During my first visit, I tried their desserts with a friend and this time I tried their main courses with another three friends. It was our gathering after some three years we did not meet up because of busy with working life. Pasta cooks in Thai style is quite normal in a Thai restaurant if they serve fusion food. I satisfied with this pasta. It is delicious and not very spicy. Using the angel hair stir-fries with meat, mushroom, cherry tomatoes, peppercorns, basil leaves and of course chilies. 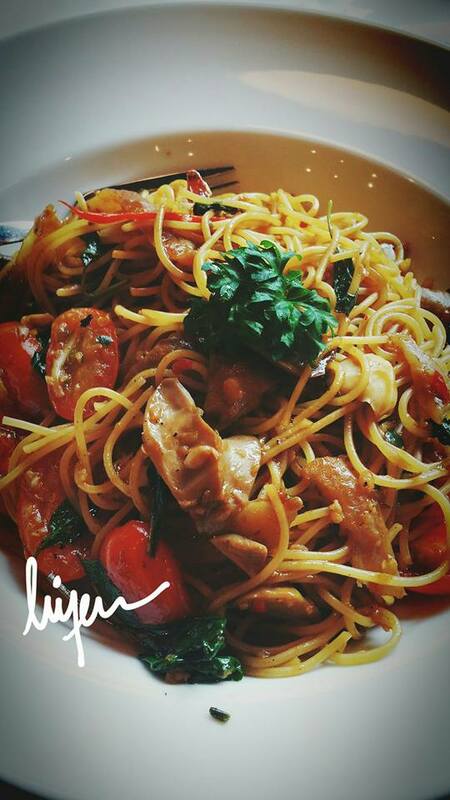 It is worthy to give a try on this Thai fusion pasta. Having such a long name, this main course was being recommended by their waiter during our visit. My friend ordered it and no complaints about it. 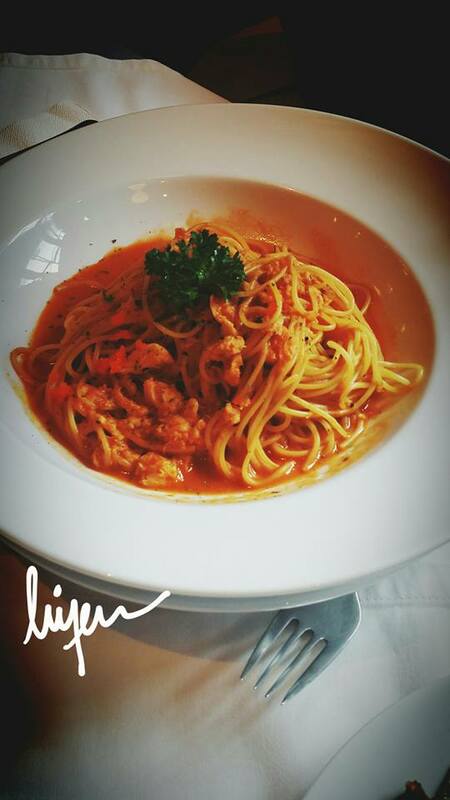 I think it should be delicious too because of the combination of the prawn cream sauce with crab meat. Minced Chicken with Sweet Basil and Hot Chilies. This is the most popular dish in Thailand whenever we visit Thailand’s street food. 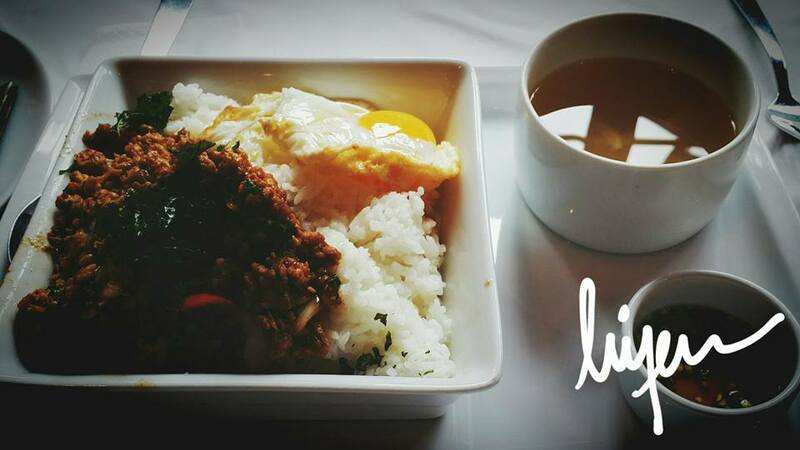 It cooks with minced chicken meat, serves with a sunshine (fried egg) on top of the rice. It comes with a bowl of soup too. 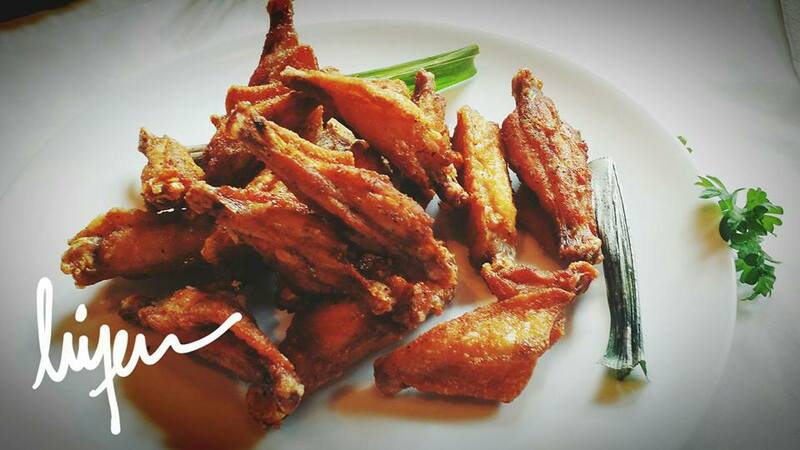 And lastly, we shared the chicken wings together as our snack (actually it is our appetizer but we ate it after our meals).